Mind Fingers: Poll Results: Toes, What are They Good For? Well folks, we have just completed a new poll in honor of Valentine's Day. And because I like to stay on top of things I am publishing this JUST in time for your V-Day plans! When I asked my dear husband what things inquiring minds most want to know about, he said "Toes". I admit, I was skeptical, but I have been married to him long enough to know that he is never wrong, so we came up with a very topical, pertinent, thought provoking poll, and I am grateful to all those who took the time to vote* after seriously considering their feelings. WHICH TOE WOULD YOU BE MOST SORRY TO PART WITH? Well. Yes. I think we can all agree that this is some fascinating stuff. I mean, would YOU ever have expected the answers to come out this way? Truly, no one saw this coming. 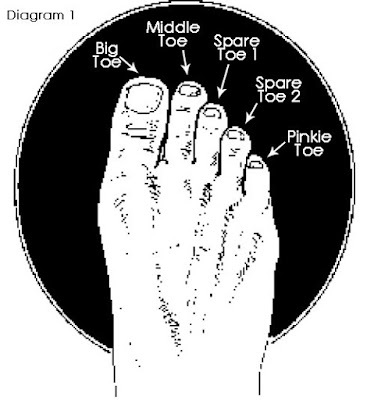 And Spare Toe One and Spare Toe Two (See Diagram) are indeed appropriately named. What are those toes FOR anyway? It might be more difficult to pick up things with my feet without them, but if I had to part with one of them, I think I could get by. So, now we know how the world feels about their toes. However, I don't think this poll is going to be enough. 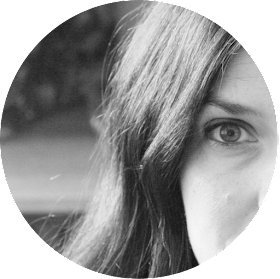 People will want to know more! So please take the time to comment and tell us WHY you voted for the toe that you did (or would have voted, if you had the chance), and how you plan to get by without that particular digit once it is gone. *by voting on this poll you agree to have your toes stolen in the night by ghouls.